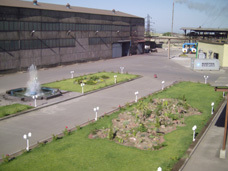 "AMP" LLC is one of the most dynamically developing metallurgical enterprises of Republic of Armenia. It was founded in year 2003, and its main activity is ferromolybdenum production for needs of metallurgical industry. Nowadays the facilities of "AMP" LLC are designed for production of 3600 mt of ferromolybdenum per year. 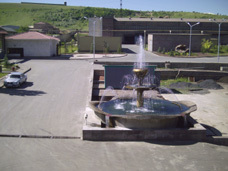 Which allow not only process whole concentrate produced on the territory of Armenia, but import it from foreign counties such as Russian Federation, China, Peru, Chile etc. Thanks to modern technology and staff"s high qualification the enterprise is producing ferromolybdenum according to the requirements of world standards. Metallurgical plants of European counties, Russian Federation, Japan, USA and other technologically developed countries are the consumers of our production. "AMP" LLC pays special attention to the ecological compatibility of its production and continuously perfecting and modernizing its facilities, applying high technology to production. Enterprise"s staff management allow efficiently solve production, marketing and social tasks, which is confirmed by ISO 9001:2000 quality management system certificate. We will be glad to see you among of our partners and invite all interested people to cooperation.